Fuel Type– When deciding between gas and electric, it is important to remember that gas will have a much higher upfront cost, but over time will cost you a lot less. Electric ovens don’t cost as much upfront, but will cost more over time due to the cost of electricity. 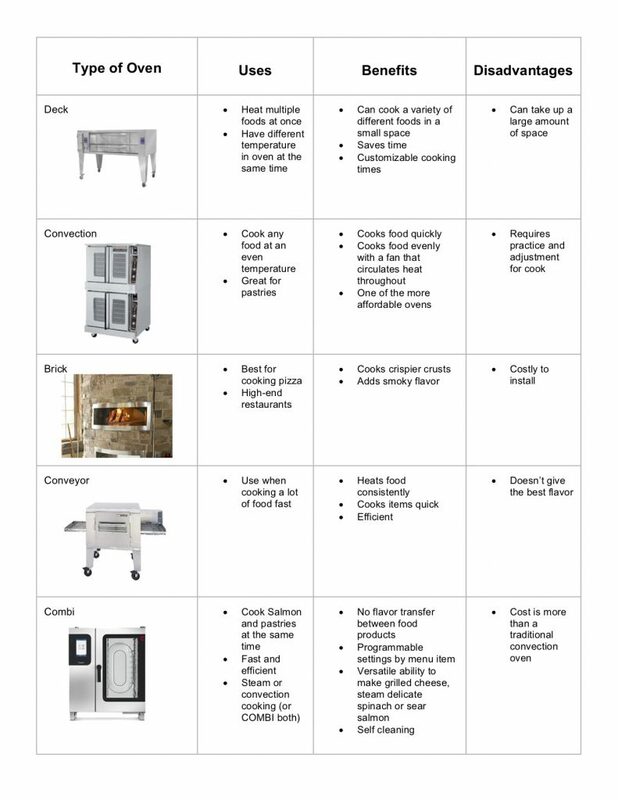 Type of Commercial Oven– When choosing the type of commercial oven, you can choose between five kinds: deck, convection, brick, combi and conveyor. The chart below contains more information about each of the types. 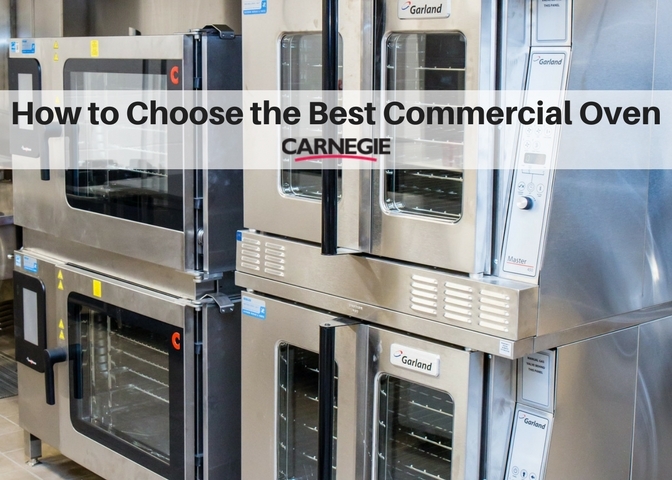 Other factors– There are so many different factors to take into consideration when purchasing any commercial product, but there are a few specific factors to keep in mind when thinking about commercial ovens. Size is a huge factor because depending on the kitchen you are working with, you may only have room for certain types of ovens. Reliable ovens with a good reputation are also important because an oven malfunction could break a business in minutes. Another important factor is what types of food your restaurant serves. If you have a seafood restaurant, you probably won’t find a brick oven necessary. And the obvious- cost. Think about what kind of budget you are dealing with, and which oven will give you the best bang for your buck.